Home #WeightLossWednesday Weight Loss Wednesday: Refeed Time! 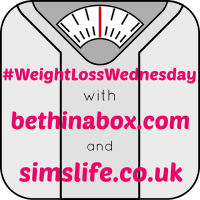 Welcome to the weekly Weight Loss Wednesday Linky! This is where my journey slightly halts for a while as last night I found myself starting refeed from the New You Plan VLCD (very low calorie diet). It was somewhat bittersweet as instead of enjoying one of the new glorious chocolate puddings, I found myself tucking into a bowl of steamed cauliflower, asparagus, mushrooms and onions, topped with two poached eggs! I thought refeed would be tough, however the meal was absolutely delicious, yet there was no chance of me eating all the food in the bowl! I am just hoping that slowly dipping my toe into eating meals again will pay off and it will be easy to maintain my current weight loss. Dropping another dress size has resulted in some new clothes and I really do not want put weight on to the point I can no longer fit in my new rags! I do not want to be on a constant diet for the rest of my life so am hoping a mixture of calorie counting and fitness will keep me where I want to be. I have done it before, that is where the whole #WeightLossWednesday journey kicked off and I shall most certainly do it again! Calorie counting seems to work for me, whilst using MyFitnessPal, though I have realised it is potentially time to start looking into the Slimming World diet. Veg now seems to be the way forward with regards to filling up which are all good foods on the slimming diet… I shall decide after calorie counting for a few days to see what damage is being one to the scales! So, how are you all doing this week? Your dinner looks and sounds good. I sub rice and sometimes meat with cauliflower. 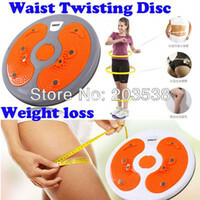 Congrats on dropping another dress size!